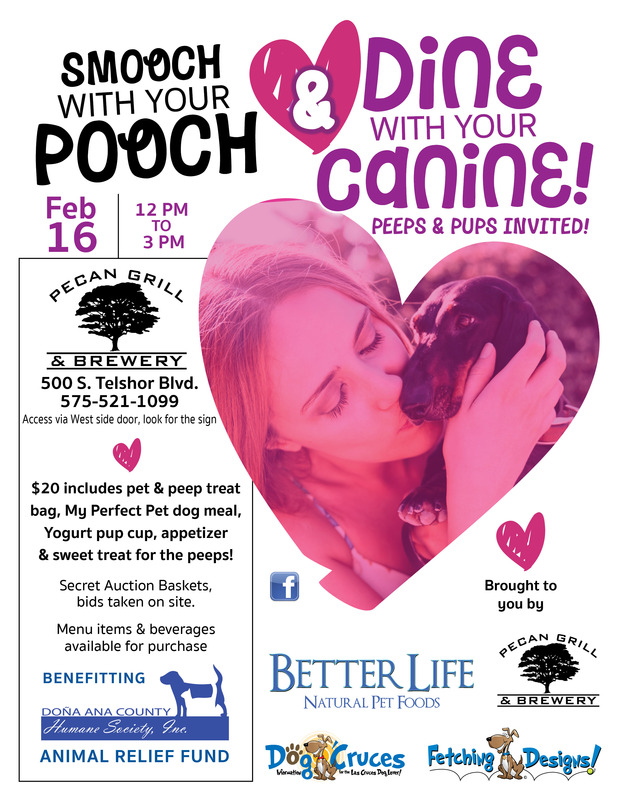 Smooch with your Pooch and Dine with your Canine! 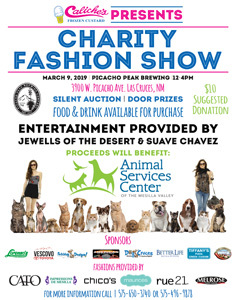 Access via west side door, look for the sign at Pecan Grill and Brewery (500 S. Telshor Blvd. 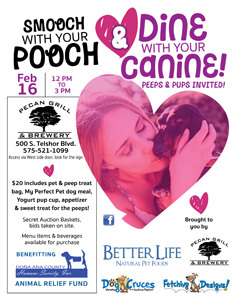 $20 includes pets and peep treat bag, my perfect pet dog meal, Yogurt pup cup, appetizer and sweet treat for the peeps! Secret Auction Baskets, bids taken on site. Menu item & beverages available for purchase. 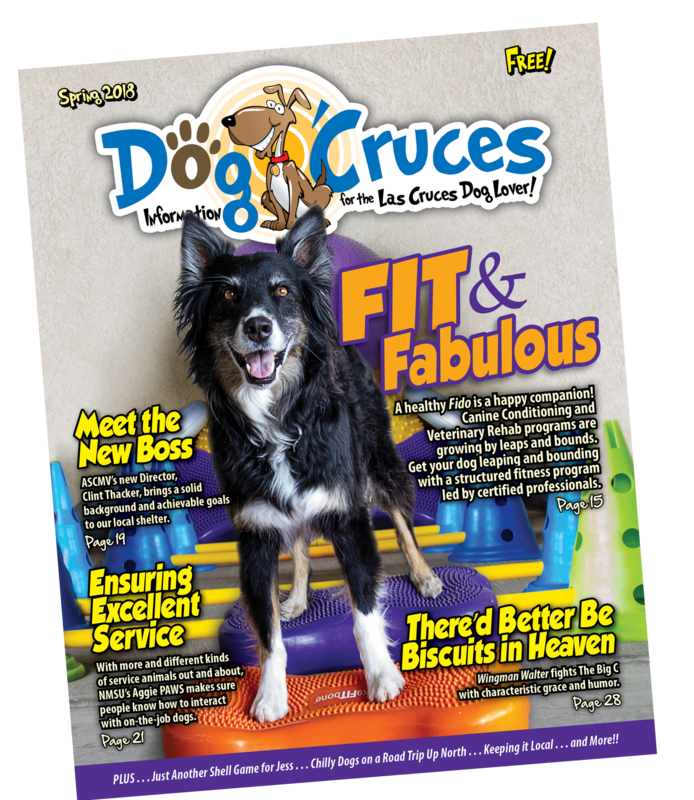 Benefitting DACH Animal Relief Fund.